While climbing through 18,000 feet, the crew heard a loud thud, sounding like a baseball bat striking an aluminum trash can. One of the blades of the Hamilton Standard propeller on the left engine had failed and the entire assembly had become dislodged, deforming the engine nacelle and distorting the wing's profile. The EMB-120 is designed to fly with one engine inoperative, the distortion of this engine resulted in excessive drag and loss of lift on the left side of the aircraft, causing it to rapidly lose altitude. The crew tried to return to Atlanta for an emergency landing, but the rapid descent made the airplane unable to stay in the air, and the pilots began searching for an open space to make an emergency landing. The plane struck the tops of the trees and crashed into a field in Carroll County, Georgia near Burwell and Carrollton. All of the passengers and crew survived the initial impact; the fatalities were the result of a post-crash fire. The first officer used the cockpit fire axe to cut through the thick cockpit glass. The captain was knocked unconscious and never regained consciousness, eventually succumbing to the fire. The NTSB listed the probable cause of the accident was the failure of the propeller due to undiscovered metal fatigue in one blade resulting from corrosion from chlorine. There have been two previous failures of the same type of propeller, but those aircraft had been able to land safely. The NTSB criticized Hamilton Standard, who had maintained the propellers, for inadequate and ineffective corporate inspection and repair techniques, training, documentation and communication. The also blamed the FAA for failure to require recurrent on-wing ultrasonic inspections for the affect propellers. The overcast skies and low cloud ceiling also contributed to the severity of the crash. 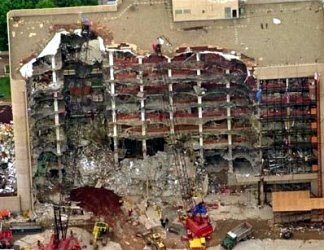 April 19, 1995 - The Oklahoma City bombing was a domestic terrorist bomb attack on the Alfred P. Murrah Federal Building in downtown Oklahoma City killing 168 people and injuring more than 680 others. 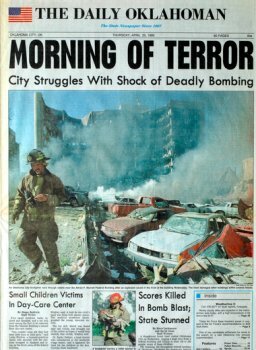 The blast destroyed or damaged 324 other buildings within a 16-block radius, and shattered glass in 258 nearby buildings, and destroyed or burned 86 cars. The bomber, Timothy McVeigh, a Gulf War veteran detonated a Ryder rental truck full of explosives parked in front of the building. McVeigh was executed by lethal injection in 2001. The U.S. Congress passed legislation designed to increase the protection around federal buildings to deter future terrorist attacks. December 14, 1995 - FAA announced the Commuter Safety Initiative, a group of new rules aimed at providing a single level of safety for travelers on airliners ranging from 10-seaters to jumbo jets. The new rules applied to scheduled passenger operations using airliners with 10-30 passenger seats or using turbojets, and contained provisions on standards for airplane performance and for flight crew training and qualifications. In addition, the regulations extended to commuter airline pilots, the age-60 rule on mandatory retirement. UPDATE: In 2007, the AGE-60 Rule was changed and the mandatory retirement of pilots is 65. Cali's air traffic controllers had no functional radar to monitor the B-757, as it had been blown up in 1992 by a terror group. Cali's approach uses several radio beacons to guide pilots around the mountains and canyons that surround the city. The B-757's flight management system already had these beacons programmed in, and should have told the pilots exactly where to turn, climb, and descend. Cali's controllers asked the pilots whether they wanted to fly a straight-in approach to Runway 19 rather than coming around to Runway 01. The pilots agreed and then erroneously cleared the approach waypoints from their navigation computer, so they had to pull out their maps. The captain trying to find the Romeo NDB, caused the autopilot to start flying a course to Bogota, resulting in the airplane turning east in a wide semi-circle. By the time the error was detected, the aircraft was in a valley parallel to the one they should have been in. The pilots had put the jet on a collision course with a 9,800 foot mountain. Twelve seconds before the jet hit the mountain, the Ground Proximity Warning System activated, announcing an imminent terrain collision and sounding an alarm. The first officer disengaged the autopilot, and the captain attempted to climb clear of the mountain; however, neither pilot had remembered to disengage the previously deployed speed brakes, which reduced the rate of climb and the jet struck trees at about 8,900 feet. The probable causes include the flight crew's failure to adequately plan and execute the approach and their inadequate use of automation; failure to discontinue the approach, despite numerous cues alerting them; the lack of situational awareness regarding vertical navigation, proximity to terrain, and the relative location of critical radio aids; the crew's execution of the escape maneuver while the speed brakes remained deployed. 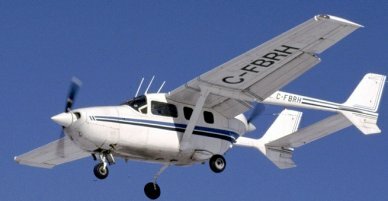 ValuJet Airlines, in unincorporated Clayton County, Georgia, operated regularly scheduled domestic and international flights in the Eastern United States and Canada. Founded in 1992, it was known for its sometimes dangerous cost-cutting measures. All of its 56 airplanes were purchased used from other airlines, with very little training provided to workers. Contractors were used for maintenance and other services. Two days later President Clinton took retaliatory measures that included the indefinite suspension of all charter flights between Cuba and the United States. FAA actions included a letter warning south Florida airmen of the dangers and penalties associated with violating Cuban airspace. April 1, 1996 - FAA and the DOT announced a program of special pay incentives for 7 hard-to-staff Air Traffic Control facilities in or near Oakland, CA, Chicago, IL and New York City. The program affected about 2,200 employees, including controllers, flight service data processing specialists, technicians and certain technical staff and managers. They received a 10% raise. At the same time, DOT Secretary Pena announced that delivery of new computers to 5 en route centers under the Display Channel Complex Rehost (DCCR) project would be speeded by 10 months. 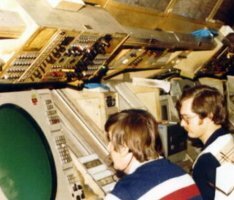 The first of these DCCR systems became operational at Chicago Center in January, 1997. May 6, 1996 - FAA renamed its Technical Center the William J. Hughes Technical Center. The new name honored Ambassador Hughes, a former member of Congress (D-NJ) and a long-time supporter of the facility. The Tech Center, located at Atlantic City, New Jersey is the nation's premier air transportation system laboratory. The Technical Center's highly technical and diverse workforce conducts test and and evaluation, verification and validation, and sustainment of the FAA's full spectrum of aviation systems, and develops scientific solutions to current and future air transportation safety challenges by conducting applied research and development. Technical Center engineers, scientists, mathematicians, and technical experts utilize a robust, one-of-a-kind, world class laboratory environment to identify integrated system solutions for the modernization of the National Airspace system. Flight 592 was delayed for an hour due to mechanical problems. Ten minutes before the crash, the DC-9 took off and began a normal climb. Five minutes later passengers started to smell smoke, and at the same time, the pilots heard a loud bang in the head phones and noticed the jet was losing electrical power. It was determined to be the result of a tire in the cargo hold exploding. The flight crew asked Air Traffic Control for a return to Miami due to the increasing smoke in the jet. They began to turn to the left in preparation for the return to Miami. The jet banked sharply, rolled onto its side and nosedived into the Everglades at a speed of 507 mph. Examination of debris suggested that the fire had burned through the floorboards in the cabin, resulting in structural failure and damage to cables under the instrument panels. It is possible that the flight crew was incapacitated by smoke or heat in the cockpit during the last 7 seconds of flight. The NTSB determined that the fire had that downed Flight 592 began in a cargo department below the passenger cabin. 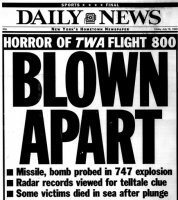 A pop and jolt heard on the cockpit voice recording and a dramatic spike in the altimeter reading were attributed to the sudden cabin pressure change caused by a semi-inflated aircraft wheel in the cargo hold getting so hot that it exploded. Sabre Tech, for improperly packaging and storing hazardous materials. ValuJet for not supervising Sabre Tech. FAA for not mandating smoke detection and fire suppression systems in cargo holds. The airline was grounded for several months after this accident. With a tarnished reputation it was forced to merge with AirTran Airways. June 17, 1996 - FAA announced that ValuJet Airlines would cease operations as of midnight, pending safety improvements. FAA stated that heightened scrutiny had revealed serious safety deficiencies in the area of airworthiness, maintenance, quality assurance of contractors, and engineering capability. FAA Administrator Hinson outlined improvements to FAA's examination of airlines that relied heavily on contractors for maintenance and training. July 6, 1996 - Delta Air Lines flight 1288, a McDonnell Douglas MD-88, with 135 passengers and 5 crew members, experienced an uncontained engine failure during takeoff on Runway 17 at Pensacola, Florida. When the jet reached an airspeed of 40 knots, the cockpit lost lighting and instrumentation. The rear cabin passengers and flight crew heard a very loud bang and experienced a blast-like sensation. The captain ended takeoff by bringing the throttle to idle and engaging the brake, which brought the jet to a stop without the use of reversers or spoilers. 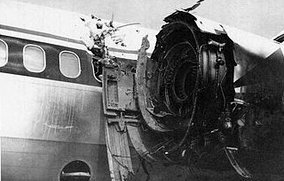 The NTSB determined that the probable cause of this accident was the fracture of the left engine's front compressor fan hub, which resulted from the growth to failure of a fatigue crack. They also attributed this accident to the failure of Delta's maintenance team to discover the problem. Flight 800 departed at 8:02 PM. Weather in the area was light winds with scattered clouds, and there were dusk lighting conditions. The last radio transmission form the jet occurred at 8:30 PM when the flight crew received and acknowledged instructions from Boston Air Traffic Control Center to climb to 15,000 feet. Thirty-eight seconds later, the captain of an Eastwind Airlines Boeing B-737 said that he 'just saw an explosion out here', about 16,000 feet, and that it just went down into the water. 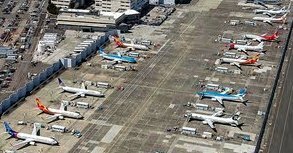 Many air traffic control facilities in the New York area received reports of an explosion from other pilots in the area.  Several witnesses of the crash stated that they saw or heard explosions, accompanied by a large fireball or fireballs over the ocean, and observed debris, some of which was burning while falling into the water. The NTSB traveled to the scene the following morning, and there was much initial speculation that a terrorist attack was the cause of the crash. Consequently, the FBI initiated a parallel criminal investigation. Sixteen months later, the FBI announced that no evidence had been found of a criminal act and closed its investigation. 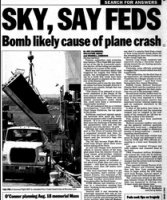 The 4-year NTSB investigation concluded in 2000, ending the most extensive, complex, and costly air disaster investigation in U.S. history. Their report's conclusion was that the probable cause of this accident was an explosion of flammable fuel/air vapors in a fuel tank - the most likely cause of the explosion was a short circuit. New requirements were developed for aircraft to prevent future fuel tank explosions. The first event in the breakup sequence was a fracture in the wing center section of the aircraft, caused by an "overpressure event" in the center wing fuel tank. An overpressure event is defined as a rapid increase in pressure resulting in failure of the structure of the wing fuel tank. Because there was no evidence that an explosive device detonated, the overpressure event could only have been caused by a fuel/air explosion in the center wing fuel tank. There were 50 gallons of fuel in the center wing tank. Tests recreating the conditions of the flight showed the combination of liquid fuel and fuel/air vapor to be flammable. A major reason was the large amount of heat generated and transferred to the center wing fuel tank by air conditioning packs located directly below the tank and with the temperature raised to a sufficient level, a single ignition source could cause an explosion. 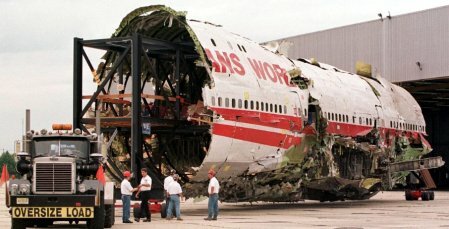 The NTSB determined that the probable cause of the TWA 800 accident was an explosion of the center wing fuel tank, resulting from ignition of the flammable fuel/air mixture in the tank. The source of ignition energy for the explosion could not be determined with certainty, but the most likely was a short circuit outside the tank that allowed excessive voltage to enter it through electrical wiring associated with the fuel quantity indication system. Additional causes include the design and certification concept that fuel tank explosions could be prevented solely by precluding all ignition sources. Also the Boeing B-747 with heat sources located beneath the center wing fuel tank with no means to reduce the heat transferred into the tank or to render the fuel tank vapor non-combustible. The NTSB issued 15 safety recommendations, mostly covering fuel tank and wiring-related issues. A TWA Flight 800 International Memorial was dedicated in a 2-acre parcel immediately adjoining the main pavilion at Smith Point County Park in Shirley, New York, in 2004. Funds for the memorial were raised by the families of TWA Flight 800 Association. The memorial includes landscaped grounds, flags from the 13 countries of the victims, and a curved Ambrian Black granite memorial, designed by David Busch, with the names engraved on one side and an illustration on the other of a wave releasing 230 seagulls. In 2006, an abstract design of a 10-foot-high lighthouse in black granite, designed by Harry Edward Seaman, who had lost his cousin in the crash was added. The lighthouse sits above a tomb holding many of the victims' personal belongings. TWA Flight 800 conspiracy theories exist. 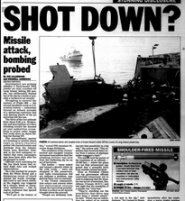 The most prevalent being that a missile strike, possibly from a shoulder-fired missile, from a terrorist or an accidental launch from a U.S. Navy vessel caused the crash, and is the subject of a government cover-up. However, no external explosion registered on cockpit voice recorder audio before power was cut by the exploding fuel tank. President Clinton announced increased security for air travel. FAA stated that steps would include more intensive screening of passengers on international flights, increased screening of carry-on bags for both international and domestic flights, as well as other actions not disclosed to the public. The NTSB announced a group of recommendations for improving the safety of the B-747 fuel system, and the FAA issued an airworthiness directive requiring inspection of certain wiring in the fuel system of older B-747s. August 17, 1996 - To combat the hazard of wake turbulence, the FAA implemented new separation standards for small aircraft traveling behind a Boeing B-757 from four to five nautical miles. August 22, 1996 - FAA announced 9 proposed Airworthiness Directives on changes to the design of Boeing B-737 flight control systems. Because of two B-737 accidents, a Critical Design Review received new information from Boeing that a valve in the B-737 rudder power control unit could jam under extreme conditions. An airworthiness directive required repetitive inspections. September 26, 1996 - A new Pan American World Airways began service. The operators of the small new carrier purchased the name and trademark of the original airline. It was headquartered in Miami-Dade County, Florida. Pan Am II was started with an Airbus A-300 named the Clipper Fair Wind to provide low-cost, long-distance travel to major U.S. and Caribbean cities. In 1997, Pan Am Corporation, the airline operation's holding company, bought Carnival Air Lines, a charter and scheduled airline division of Carnival Cruise Lines. However, the rapid expansion and economic troubles of the 2 companies were too much for the new Pan Am, and it survived for only 2 years before declaring bankruptcy. Carnival resumed limited charter operations with the Pan Am name. In 1998 Guilford Transportation Industries forming a third incarnation of Pan Am. 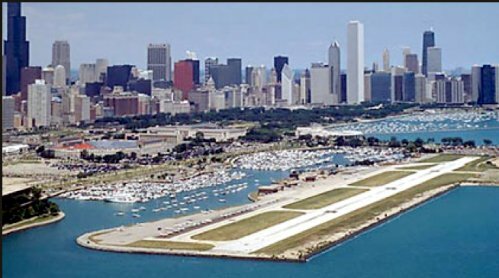 September 30, 1996 - Chicago's Meigs Field ceased operations as part of a plan by Mayor Richard Daley to convert the lakefront facility into a park. Opened in 1948, Meigs Field was an important reliever airport located on the beautiful lakefront of Chicago. The airfield, once the busiest single-strip airport in the USA, was named for Merrill C. Meigs, publisher of the Chicago Herald and Examiner and an aviation advocate. At one time 3 air carriers served Meigs Field: United Express, Trans World Express (for United Airlines and TWA), and Blade Helicopters. They operated with Beechcraft 1900C turboprops and Swearingen Metro III propjets. Chicago's Mayor Daley (increasingly authoritarian style) ordered the midnight bulldozing of Meigs Field, and the FAA fined the City of Chicago $33,000 for closing an airport with a charted instrument approach without giving the required 30-day notice. They also repaid $1 million in misappropriated FAA Airport Improvement Program funds that it used to destroy the airfield and build Northerly Island Park. Flight 5925 collided on landing at Quincy with another Beechcraft, a private King Air, that was taking off from an intersecting runway. All occupants of both planes, 12 on board Flight 5925, and 2 on board the King Air were killed. There were actually 2 aircraft waiting for departure from Quincy when United Express Flight 5925 arrived: The King Air and a Piper Cherokee were approaching Runway 4. Because Quincy is a non-towered airport, all 3 aircraft were on the same Common Traffic Advisory Frequency. On approach United Express asked whether the King Air would hold short of the runway, or depart before their arrival. No response, so the United Express called again, and received a reply from the Cherokee that they were holding short. 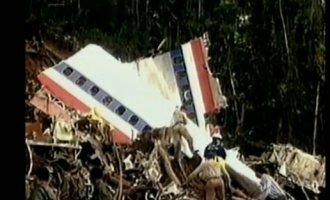 However, because of ground proximity warning system sounding on Flight 5925, only part of the transmission was received. Contributing to the cause of this accident was the Cherokee pilot's interrupted radio transmission, which led to Flight 5925's misunderstanding of the transmission as an indication from the King Air that it would not take off until they had cleared the runway. Assuming that both planes were holding, Flight 5925 landed on Runway 13. The King Air had taxied into position on Runway 4 and had begun its takeoff roll when Flight 5925 landed. 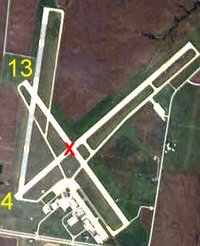 Both aircraft collided at the intersection of Runways 4 and 13. They skidded for 110 feet and caught fire. The NTSB determined the cause of this accident was the King Air pilot's failure to effectively monitor both the common frequency and to scan for traffic. A contributing factor was the Cherokee's transmission at the same time as the United Express transmission. Lack of adequate rescue and firefighting equipment was cited as a factor in the high fatality rate. December 15, 1996 - An agreement was announced that Boeing would acquire McDonnell Douglas, and would become the world's largest aerospace company. Boeing had been formed as the Pacific Aero Products Company in 1916 and adopted the Boeing name the following year. Boeing surpassed Lockheed Martin as the nation's largest defense contractor. McDonnell Douglas was formed by the merger of McDonnell Aircraft and The Douglas Aircraft Company in 1967. It produced a number of well-known commercial and military aircraft such as the DC-10 airliner and F-15 Eagle air superiority fighter. The corporation was based at Lambert-St Louis International Airport in Missouri. December 20, 1996 - President Clinton announced the selection of Rodney Earl Slater to be Secretary of Transportation. Mr. Slater graduated from Eastern Michigan University in 1977, and received his Juris Doctor degree from the University of Arkansas School of law in 1980. Mr. Slater held several state government positions in Arkansas when Bill Clinton was governor, including assistant to the governor, and member of the Arkansas State Highway Commission. He was also the director of governmental affairs for Arkansas State University. Mr. Slater is an attorney in Washington, D.C. and also serves on the board of directors of Africare, a nonprofit providing development aid to countries in Africa; the Dance Theater of Harlem, and is chairman of the Board of Trustees of United Way. He also serves on the corporate boards of Delta Air Lines and Verizon.